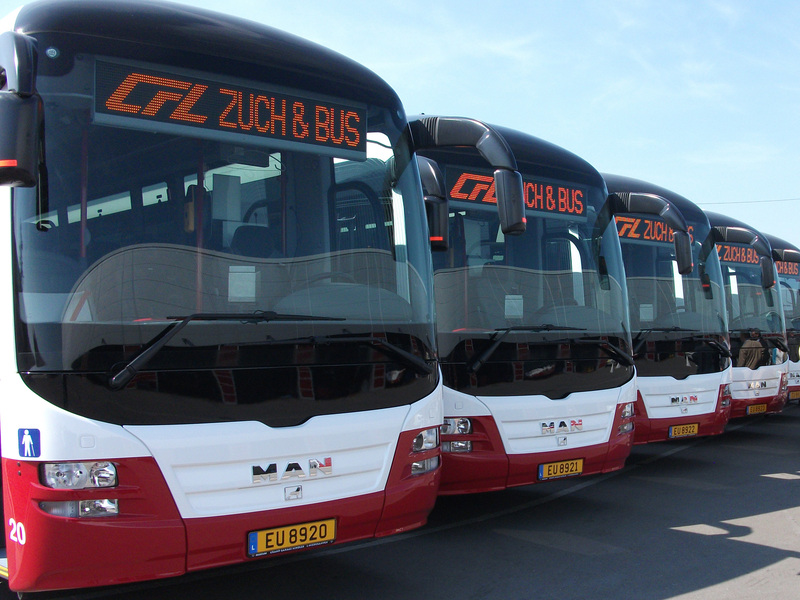 In the framework of a pan-European tender, on July 9, 2013 MAN de-livered ten Lion's Regio C intercity buses to the Luxembourg railway company "Société Nationale des Chemins de Fer Luxembourgeois" (CFL). The vehicles will be deployed on regular intercity service in Luxembourg and replace an MAN fleet that has been operated by CFL since 2005. With a length of around 13 metres, the MAN Lion's Regio C buses have seat-ing for 53 passengers. Thanks to a floor height of 860 millimetres and a vehi-cle height of 3.40 metres, the high-floor bus can also be used for short tours on weekends. The high level of passenger comfort and the good price-performance ratio were decisive for CFL in selecting the manufacturer. The total market in Luxembourg for buses in this segment is around 80 vehicles per annum. With the electronically controlled CRTec® particulate filter, MAN's horizontally installed D20 common-rail engines with their 320 hp meet the EEV standard, a highly-regarded attribute particularly in public transport. The Luxembourg railway company CFL was founded in 1946 and is respon-sible for the organisation of national and international passenger and goods transport by rail and by road. CFL has a workforce of over 4,000 people and in 2012 transported around 20 million passengers.